Not much to wonder about Team Spain, they have one major contender for the upcoming Olympics in Javier Fernandez but in terms of the future, what will happen to Spanish skating after that? I don't see anybody great coming up in the close future to replace Javi, but I trust Javi to implicate himself and to help and train talented young spanish skaters. And then who knows? Oh I am sure he will, he seems to be readying himself for his post-re-tirement career in coaching. But it's going to take a good while, even with that. In the meantime, I don't see anyone lurking on the horizon either, which is a shame but hopefully it'll happen and keep that momentum going, which is important. Once Javier stops appearing as a competitor there is only so much time that the gap can remain unfilled until interest he generated begins to die down. Fingers crossed for them. Well, there's more to team spain than just Javi (Fernandez)! I really hope Javi can change things a little bit. There are few rinks in Spain and competitive skaters are sharing them with general public. Sometime ago there was a project to convert temporary GPF rink in Barcelona into a permanent one for competitive skaters, but it seems dead now. As much as I want him on Olympic podium I am not sure about this strategy. Even if he skates clean would GOE and PCS cover the BV difference? I don't know. It's so uncertain. Depends on what others do and if he adds the 4Lo. 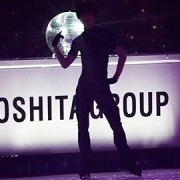 Clean Yuzu and Shoma will beat him for sure. A clean Nathan will win in TES even with 10 points difference in PCS. I don't even know if a clean Patrick might not dislodge him slightly, depending on how many or few European judges are in the panel. Boyang, it would depend on his GOEs but even his best 4-quad FS was 14ish points away from Javi's best (but Boyang will add the 4Lo and do at least 5 quads). But if others falter, he can sweep in for a medal. A 3-quad FS with 4Lo, though, might be more helpful for his BV and his chances since he could have two -3T combos and two 3As. But then he'd need to land that 4Lo with positive GOE. So.... Javi.... add the 4Lo at ACI and get mileage on it! If he starts coaching perhaps he can revive that project and start a training school in ernest like Stephane Lambiel. Then perhaps we will see more skaters emerge out of western europe. Yes, it would be wonderful. My dream is that Barcelona will have its own permanent rink for high level competitions. Recently Spain granted citizenship to russian an canadian skaters in order to compete for Spain, so I guess things are changing a little bit. Since Olympics attract more casual viewers an Olympic medal for Javi would wake up more interest in figure skating. But his current set of mind puzzles me.